Well, maybe a bit of a rant! I always hand out bank details to these people. I don't know whose details I'm giving them though, I just make them up. I do the same with scam emails with false log in links. Got to waste somebody's time. I think what I found most irritating was that in this instance I had a phone number but they weren't interested in recording it. My thinking was it was just another bit of data that helps build a picture of the problem which then leads to a solution. I didn't expect a visit to discuss the call but if modern policing is supposed to be intelligence led it certainly don't apply around here! These people are able to invent phone numbers somehow, so reporting the apparant number the call came from is actually not much help. Probably better to report to the phone regulator. Though nobody seems to be doing much about this problem. As the weather is horrible and I'm bored decided to give the bank named a call. Finally got to speak to a person and explained I'd been getting calls to someone who wasn't me about their credit card and gave them that person's name and the callers number. Them. "What you need to do is....". Me. "I don't need to do anything, but you do!" Me. "No need to thank me. Bye." Number's blocked now and if it is a genuine caller then they should realise that they've got something a bit wrong. 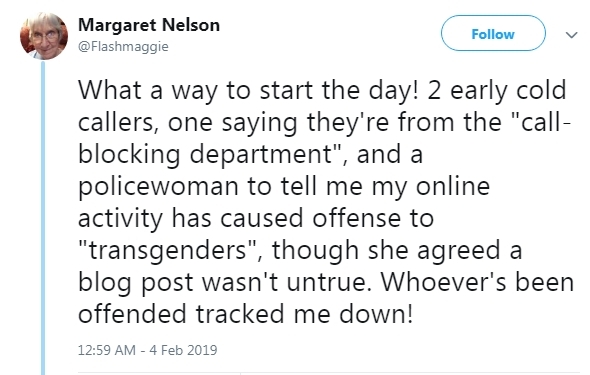 I very much doubt that this message will get through as the very nice "lady" who has just expressed her doubts about the legitamacy of my parentage told me my Internet will be disconnected. 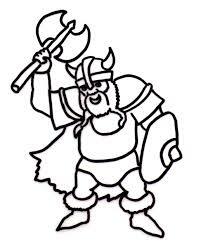 "Lags Droopfinger-The Biking Viking" "Good Deeds never go unpunished"
The Police say they have no resources. They always find one or two to accompany the TV licensing goons however. They also have plenty devoted to silencing freedom of speech on the internet. 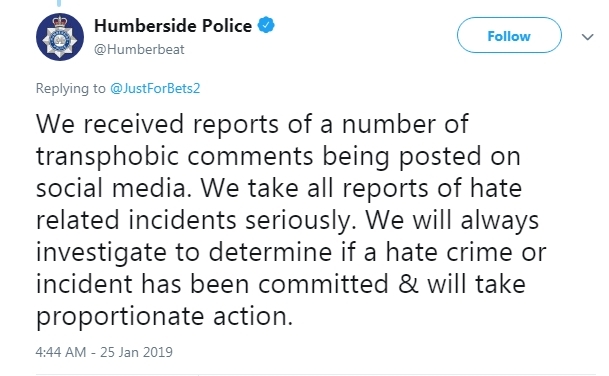 In recent days someone was contacted over a 'non crime' incident, a particularly Orwellian term meaning no crime had been commited but they didn't like what was being said. That person was told to 'check their thinking' I am told. This isn't restricted to one Police region either. 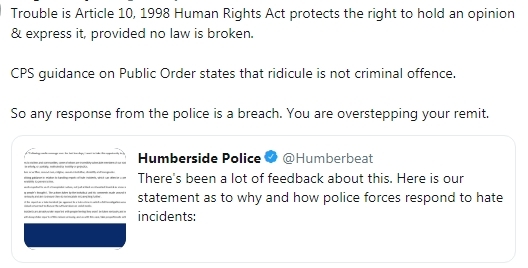 The Police are now politicised and actively suppressing political comments as wrongthink. So the message is clear, don't bother reporting a scammer, Burglar or Mugger as such, just tell them you heard him say some hurty words and they will despatch a team of officiers immediately. I've had a call blocking phone since before I moved. When I did move I got a brand new number. Nevertheless, almost straightaway started getting "junk calls". So I asked the engineer the next time he came (can't remember why - broadband?) how come I'm getting these calls AND I asked to be ex-directory, i.e. I'm thinking who's passing my new number on, he said no they have these computers that dial up random numbers. So being ex-directory does feck all cos they're not even using anything like that. I remember when I changed internet provider to O2 many years back. Got a new email address, first time I checked it I had some spam emails already there. I had not used that email at all, and certainly had never told anyone about it. POTENTIAL FRAUD.Is this a common feature? I suppose it's a good thing? We still get loads of nuisance calls on the land line even though we are registered with a blocking service. You know you can also register a mobile number with the TPS. Did reduce the number I was getting. TPS is good, but only if the potential callers pay attention to it. And last time I looked it's very difficult telling them about new nuisance calls. One of the type they didn't want to know about anymore is the silent type. I remembered why I got a call blocking phone in the first place. The last straw was that blasted government assisted boiler upgrade scheme, they give you £2,000 or something towards getting a new more effficient boiler. Used to get several calls a week about it, sometimes 2 or 3 the same day. It's a recording so if I hung up then pick up again, she's still nattering on. NB: you can always do an Internet search on a caller's phone number, there are lots of web sites listing the nuisance callers. Recently I've received several calls which immediately cause the screen to light up and show the warning, POTENTIAL FRAUD. Is this a common feature? I suppose it's a good thing? I think some service providers have a system whereby any number that has been reported frequently gets that warning ascribed to it. I've certainly seen it on my screen occasionally. Just had an email from BT about scam calls.